From processing to packaging, hygiene is of utmost importance in every step of the food and beverage industry. In order to reduce the risk of contamination, a full cleaning regime must be strictly followed to ensure regular and thorough cleaning with the correct tools and training provided to all staff members. Through a comprehensive training programme, facility staff can be educated on the types of contamination risks that could occur if the correct cleanliness and practices are not adhered to, and managers, customers and end users can rest assured that the produce is safe for consumption. One of the most prolific food-borne pathogens is Listeria. With no smell or taste, this pathogen can be consumed without knowledge and can result in listeriosis, an extremely serious form of food poisoning that requires hospital treatment and can claim the lives of 20% of those who contract it. A well-known case of listeriosis occurred in 2011 at Jensen Farms in Colorado. The outbreak was linked to contaminated cantaloupes that resulted in 147 confirmed cases of infection and 33 deaths. The Food and Drug Administration (FDA) reported that listeria had been found on dirty equipment as well as in water on the floor, which had been spread around the facility on the shoes of staff members. A similar outbreak was reported in 2016, where nine infections and three deaths as a result of listeria contamination were reported. This outbreak was linked back to CRF Frozen Foods in America, who recalled just fewer than 1000 products, with 456 of these frozen food products recalled by the FDA. Listeria multiplies by feeding off organic soils, often found in drains and crevices within food processing facilities. To avoid this growth, the flooring of food and beverage facilities must be regularly cleaned with dedicated tools. Making the floor as easy as possible to keep clean with minimal joints and sufficient drainage can aid the cleaning programme and greatly reduce the chance of contamination. 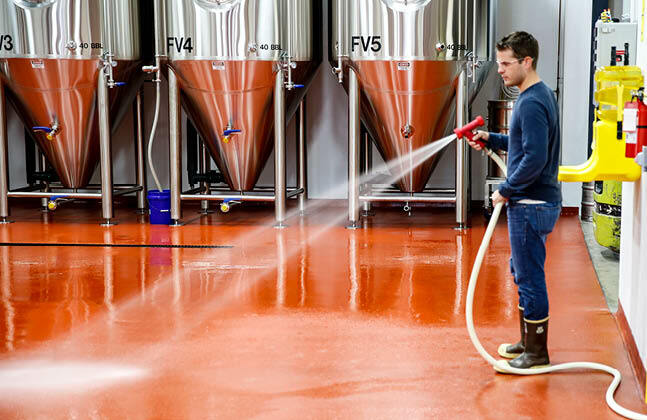 Flowfresh, an antibacterial flooring solution from Flowcrete is made with the food and beverage industry in mind. This flooring solution can kill up to 99.9% of bacteria through silver ions that attack bacteria and viruses on the floor’s surface. 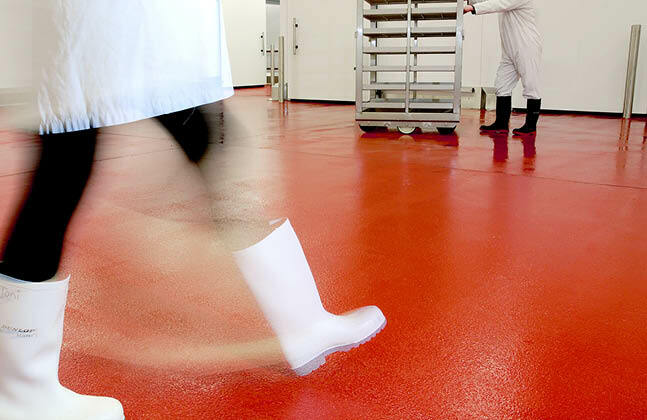 Chemical resistance is also a key factor for this flooring, meaning that it can withstand dropped produce, as well as cleaning chemicals that may be used across the facility. 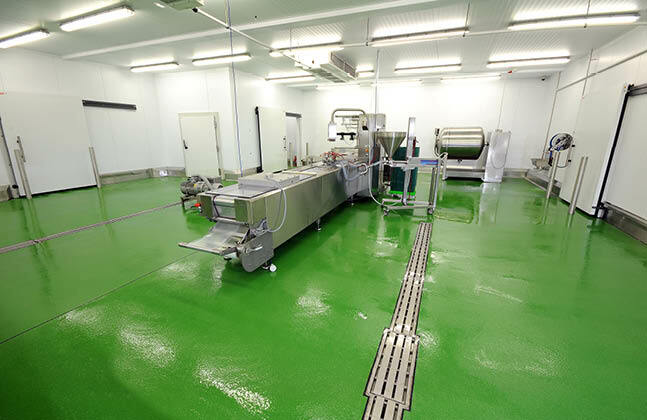 In addition to antibacterial properties, Flowfresh HF and Flowfresh RT have an impressive anti-slip profile that is especially useful in wet processing areas. Reducing the chance of listeria ever materialising is the best chance of remaining contamination free, as once an area is contaminated, the pathogen can be spread through insects, staff clothing, or aerosolization from improper cleaning. With the devastating effects that contamination of any sort can have on food and beverage facilities, cutting the cause of contamination from the ground up is essential.